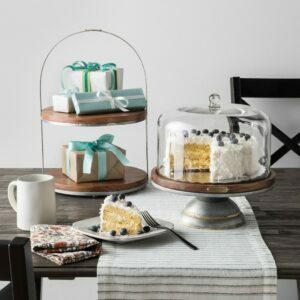 I love everything about Hearth & Hand™ with Magnolia Collection at Target. The designs are simple and clean and say, “come in and sit awhile!” This is what I want my home to feel like to all my friends and family. 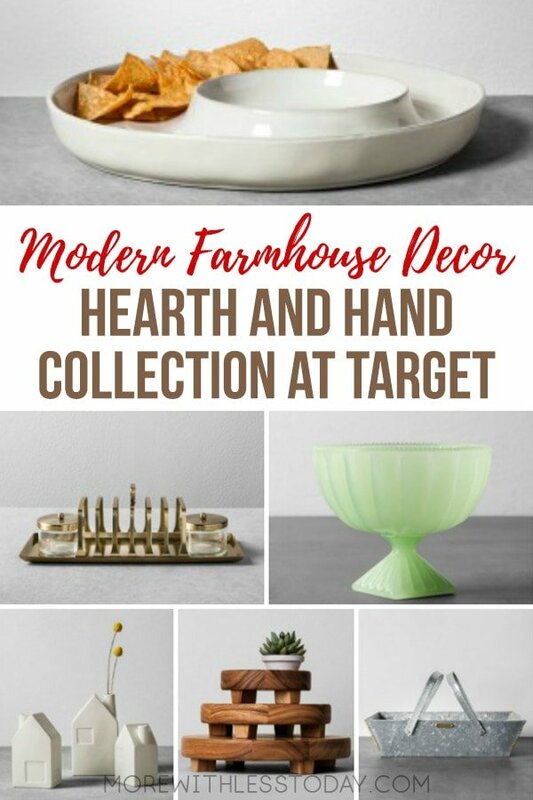 If you like Modern Farmhouse decor, I think you will love this collection too. 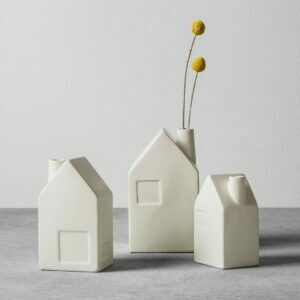 These simple white vases are pure and clean. They will go well with any color scheme and add just the right touch of simplicity. 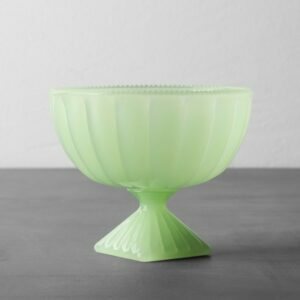 A soft, green dessert bowl that will look lovely on any table. Fill it with candy or flowers or just display it on its own. I saw this in person in my Target store and loved it before I knew what it was for. This looks like something my grandmother would have had on her table. It is beautiful! 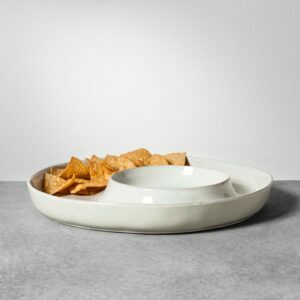 The simple clean lines make this serving tray both practical and elegant. 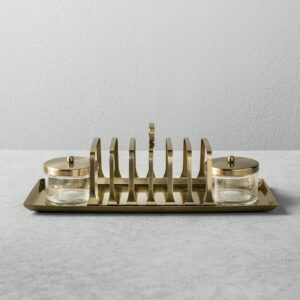 These gorgeous acacia trays come in several sizes. Use them individually or stack them as shown above. The uses for these stands are endless. Using stands to elevate display items is a well-known decorator tip. 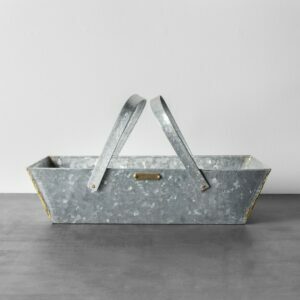 Use this in the kitchen to hold utensils, layer with a towel and its a bread or roll holder, in the bathroom it holds wash clothes or toiletries. What will use it for? 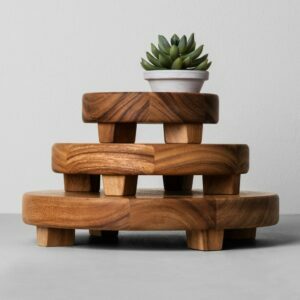 A unique cake stand that holds 2 levels of treats. Cakes, pies, cupcakes or even gifts. Streamlined and elegant yet very practical. 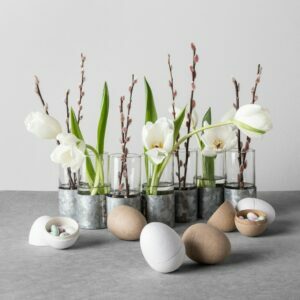 These metal and glass hinged bud vases create a dynamic and unique look featuring 7 glass bud vases hinged together to create a pop of rustic farmhouse style. It is so unique and would make a lovely gift, with or without flowers. 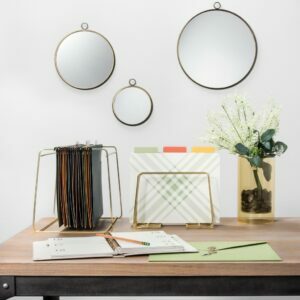 I can think of so many wonderful places to put this set of mirrors but then, that’s another aspect of all the products in the Hearth & Hand™ with Magnolia collection. They are very affordable! Which items are your favorites from the Hearth & Hand™ with Magnolia Collection at Target?